1. (10) 16 Tyler Bruening, Decorah, Iowa, $1000. 2. (1) 76 Jason Hahne, Webster City, Iowa, $700. 3. (14) 99D Darrell DeFrance, Marshalltown, Iowa, $500. 4. (5) 60 Ben Seemann, Waterloo, Iowa, $400. 5. (6) 17 Kirby Schultz, Albia, Iowa, $350. 6. (2) 05 Paul Nagle, Nevada, Iowa, $300. 7. (8) 66 Todd Johnson, Mitchellville, Iowa, $270. 8. (12) 33 Don Beckstrom, Carroll, Iowa, $240. 9. (3) 5 Rusty Patterson, Mason City, Iowa, $220. 10. (13) 2 Carey Umbarger, Garner, Iowa, $200. 11. (4) 15X Ryan Griffith, Webster City, Iowa, $180. 12. (9) 7 Jenna Johnson, Mitchellville, Iowa, $160. 13. (11) 21D Dan Drury, Eldora, Iowa, $155. 14. (7) 91 Gabe Umbarger, Garner, Iowa, $150. 1. (5) 15X Ryan Griffith, Webster City, Iowa. 2. (2) 05 Paul Nagle, Nevada, Iowa. 3. (1) 66 Todd Johnson, Mitchellville, Iowa. 4. (3) 5 Rusty Patterson, Mason City, Iowa. 5. (6) 17 Kirby Schultz, Albia, Iowa. 6. (7) 60 Ben Seemann, Waterloo, Iowa. 7. (4) 33 Don Beckstrom, Carroll, Iowa. 1. (4) 16 Tyler Bruening, Decorah, Iowa. 2. (3) 99D Darrell DeFrance, Marshalltown, Iowa. 3. (1) 76 Jason Hahne, Webster City, Iowa. 4. (2) 91 Gabe Umbarger, Garner, Iowa. 5. (6) 7 Jenna Johnson, Mitchellville, Iowa. 6. (7) 21D Dan Drury, Eldora, Iowa. 7. (5) 2 Carey Umbarger, Garner, Iowa. 1. (2) 16 Tyler Bruening, Decorah, Iowa, $600. 2. (4) 99D Darrell DeFrance, Marshalltown, Iowa, $450. 3. (8) 15X Ryan Griffith, Webster City, Iowa, $350. 4. (1) 76 Jason Hahne, Webster City, Iowa, $250. 5. (3) 05 Paul Nagle, Nevada, Iowa, $225. 6. (7) 91 Gabe Umbarger, Garner, Iowa, $200. 7. (11) 60 Ben Seemann, Waterloo, Iowa, $175. 8. (6) 5 Rusty Patterson, Mason City, Iowa, $150. 9. (9) 17 Kirby Schultz, Albia, Iowa, $140. 10. (13) 33 Don Beckstrom, Carroll, Iowa, $130. 11. (5) 66 Todd Johnson, Mitchellville, Iowa, $125. 12. (10) 7 Jenna Johnson, Mitchellville, Iowa, $120. 13. (14) 2 Carey Umbarger, Garner, Iowa, $75. 14. (12) 21D Dan Drury, Eldora, Iowa, $75. 1. (9) 00J J.D. Auringer, Evansdale, Iowa, $1000. 2. (10) 175 Ethan Dotson, Bakersfield, Calif., $700. 3. (2) 41 Nate Hughes, Humboldt, Iowa, $500. 4. (6) 64ZC Brandon Leeman, Roland, Iowa, $400. 5. (7) 29 Ron Ver Beek, Oskaloosa, Iowa, $350. 6. (12) 49J Jason Murray, Hartford, Iowa, $300. 7. (1) 2 Jerid Ratzke, Webster City, Iowa, $270. 8. (19) 5D Devon Havlik, Iowa Falls, Iowa, $240. 9. (8) 21 Ben Nading, Ankeny, Iowa, $220. 10. (5) 75 Christopher Elliott, Webster City, Iowa, $200. 11. (4) 8X Scott Olson, Blairsburg, Iowa, $180. 12. (18) 00 Tristan Vesterby, Webster City, Iowa, $160. 13. (16) 45H Jason Hickingbottom, Ogden, Iowa, $150. 14. (17) 3W Garett Wilson, Carlisle, Iowa, $140. 15. (11) 12 Mark Elliott, Webster City, Iowa, $130. 16. (3) 14E Chase Ellingson, Iowa Falls, Iowa, $120. 17. (15) 29 Ben Wilson, Colo, Iowa, $115. 18. (13) 37 Randy Foote, Stanton, Iowa, $110. 19. (14) 35 Billy Crimmins, Fort Dodge, Iowa, $110. 1. (6) 41 Nate Hughes, Humboldt, Iowa. 2. (7) 175 Ethan Dotson, Bakersfield, Calif.
3. (1) 49J Jason Murray, Hartford, Iowa. 4. (3) 12 Mark Elliott, Webster City, Iowa. 5. (4) 64ZC Brandon Leeman, Roland, Iowa. 6. (5) 2 Jerid Ratzke, Webster City, Iowa. 7. (9) 75 Christopher Elliott, Webster City, Iowa. 8. (2) 29 Ben Wilson, Colo, Iowa. 9. (8) 14E Chase Ellingson, Iowa Falls, Iowa. 2. (5) 21 Ben Nading, Ankeny, Iowa. 3. (7) 29 Ron Ver Beek, Oskaloosa, Iowa. 4. (6) 5D Devon Havlik, Iowa Falls, Iowa. 5. (2) 3W Garett Wilson, Carlisle, Iowa. 6. (8) 8X Scott Olson, Blairsburg, Iowa. 7. (4) 45H Jason Hickingbottom, Ogden, Iowa. 8. (3) 00 Tristan Vesterby, Webster City, Iowa. 1. (4) 175 Ethan Dotson, Bakersfield, Calif., $500. 2. (7) 00J J.D. Auringer, Evansdale, Iowa, $400. 3. (10) 29 Ron Ver Beek, Oskaloosa, Iowa, $350. 4. (2) 21 Ben Nading, Ankeny, Iowa, $300. 5. (11) 2 Jerid Ratzke, Webster City, Iowa, $250. 6. (13) 75 Christopher Elliott, Webster City, Iowa, $200. 7. (8) 64ZC Brandon Leeman, Roland, Iowa, $175. 8. (5) 5D Devon Havlik, Iowa Falls, Iowa, $150. 9. (15) 00 Tristan Vesterby, Webster City, Iowa, $140. 10. (14) 45H Jason Hickingbottom, Ogden, Iowa, $130. 11. (3) 41 Nate Hughes, Humboldt, Iowa, $120. 12. (9) 3W Garett Wilson, Carlisle, Iowa, $110. 13. (1) 12 Mark Elliott, Webster City, Iowa, $105. 14. (12) 8X Scott Olson, Blairsburg, Iowa, $100. 15. (6) 49J Jason Murray, Hartford, Iowa, $95. DNS – 14E Chase Ellingson, Iowa Falls, Iowa, $75. DNS – 29 Ben Wilson, Colo, Iowa, $75. 1. (3) 14 Todd Staley, Webster City, Iowa, $800. 2. (4) 47 Parker Slagle, Eagle Grove, Iowa, $600. 3. (2) 11 Jesse Brown, Nashua, Iowa, $500. 4. (6) 1G Pat Graham, Ankeny, Iowa, $400. 5. (5) 58 Matt Ring, Dows, Iowa, $350. 6. (18) 4ORD Bob Sutherland, Blairsburg, Iowa, $300. 7. (8) 211 Jesse Ely, Webster City, Iowa, $250. 8. (14) 87 Dylan Suhr, Waterloo, Iowa, $200. 9. (1) 19 Reid Keller, Webster City, Iowa, $175. 10. (12) 59L Vince Loewen, Hubbard, Iowa, $150. 11. (10) 52 Nathan Ely, Webster City, Iowa, $130. 12. (17) 87T Travis Shipman, Mason City, Iowa, $120. 13. (9) 612 Mark Elliott, Webster City, Iowa, $110. 14. (16) 15 Randy Embrey, Granger, Iowa, $100. 15. (15) Z Troy Jerovetz, Webster City, Iowa, $100. 16. (20) 8R Cory Roe, Webster City, Iowa, $100. 17. (19) 2J Steve Jackson, Polk City, Iowa, $100. 18. (21) 38C Kelly Schmit, Ventura, Iowa, $100. 19. (13) 13G Craig Graham, Webster City, Iowa, $100. 20. (7) 7 Jason Minnehan, Churdan, Iowa, $100. 21. (11) 20T Malcolm Teachout, Livermore, Iowa, $100. 1. (2) 87 Dylan Suhr, Waterloo, Iowa. 2. (1) 1G Pat Graham, Ankeny, Iowa. 3. (3) 19 Reid Keller, Webster City, Iowa. 4. (5) 66L Brent Lyman, Iowa Falls, Iowa. 5. (6) 13G Craig Graham, Webster City, Iowa. 6. (7) 59L Vince Loewen, Hubbard, Iowa. 7. (4) 47 Parker Slagle, Eagle Grove, Iowa. 1. (1) 612 Mark Elliott, Webster City, Iowa. 2. (3) 87T Travis Shipman, Mason City, Iowa. 3. (7) 14 Todd Staley, Webster City, Iowa. 4. (5) 8R Cory Roe, Webster City, Iowa. 5. (4) 4ORD Bob Sutherland, Blairsburg, Iowa. 6. (6) 11 Jesse Brown, Nashua, Iowa. 7. (2) 15 Randy Embrey, Granger, Iowa. 1. (3) Z Troy Jerovetz, Webster City, Iowa. 2. (2) 58 Matt Ring, Dows, Iowa. 3. (4) 211 Jesse Ely, Webster City, Iowa. 4. (7) 2J Steve Jackson, Polk City, Iowa. 5. (1) 18 Roger Caquelin, Dows, Iowa. 6. (6) 52 Nathan Ely, Webster City, Iowa. 7. (5) 38C Kelly Schmit, Ventura, Iowa. 1. (7) 612 Mark Elliott, Webster City, Iowa, $500. 2. (11) 14 Todd Staley, Webster City, Iowa, $300. 3. (5) 2J Steve Jackson, Polk City, Iowa, $250. 4. (2) 87 Dylan Suhr, Waterloo, Iowa, $200. 5. (17) 11 Jesse Brown, Nashua, Iowa, $175. 6. (10) 19 Reid Keller, Webster City, Iowa, $150. 7. (3) 8R Cory Roe, Webster City, Iowa, $130. 8. (12) 87T Travis Shipman, Mason City, Iowa, $120. 9. (4) 211 Jesse Ely, Webster City, Iowa, $110. 10. (9) 1G Pat Graham, Ankeny, Iowa, $100. 11. (1) 58 Matt Ring, Dows, Iowa, $95. 12. (8) Z Troy Jerovetz, Webster City, Iowa, $95. 13. (14) 4ORD Bob Sutherland, Blairsburg, Iowa, $95. 14. (18) 47 Parker Slagle, Eagle Grove, Iowa, $95. 15. (6) 66L Brent Lyman, Iowa Falls, Iowa, $95. 16. (16) 59L Vince Loewen, Hubbard, Iowa, $95. 17. (15) 18 Roger Caquelin, Dows, Iowa, $95. 18. (13) 13G Craig Graham, Webster City, Iowa, $95. DNS – 38C Kelly Schmit, Ventura, Iowa, $50. DNS – 15 Randy Embrey, Granger, Iowa, $50. DNS – 52 Nathan Ely, Webster City, Iowa, $50. 1. (2) 32Z Alex Zwanziger, Nashua, Iowa, $700. 2. (8) 56 Ty Griffith, Webster City, Iowa, $500. 3. (1) 80J Jared Van Deest, Holland, Iowa, $400. 4. (6) 85T Brandon Toftee, Otho, Iowa, $300. 5. (20) 66 Levi Chipp, Latimer, Iowa, $250. 6. (3) 82 Jake McBirnie, Boone, Iowa, $220. 7. (10) 62 Cory Pestotnik, Boone, Iowa, $200. 8. (4) 5T Tyler Inman, Altoona, Iowa, $175. 9. (11) R31 Ryan Leeman, Roland, Iowa, $150. 10. (22) 74 Ethan Dotson, Bakersfield, Calif., $125. 11. (15) 38S Paul Atchison, Webster City, Iowa, $110. 12. (5) 10R Brandon Ratcliff, Kamrar, Iowa, $100. 13. (18) 40 George Gilliland, Lehigh, Iowa, $95. 14. (19) 26 Jason Carney, Boone, Iowa, $90. 15. (16) 32S Blair Simmons, Des Moines, Iowa, $90. 16. (13) T16 Taylor Elliott, Webster City, Iowa, $90. 17. (17) 14K Ryan Sams, Fort Dodge, Iowa, $90. 18. (7) 4 Jason Bass, Fort Dodge, Iowa, $90. 19. (9) 1 Doug McCollough, Webster City, Iowa, $90. 20. (21) 66 Tim Plummer, Norway, Iowa, $90. 21. (12) 25 Justin Patterson, Fort Dodge, Iowa, $90. 22. (14) 11 Paul Price, Iowa Falls, Iowa, $90. 1. (1) 82 Jake McBirnie, Boone, Iowa. 2. (4) 85T Brandon Toftee, Otho, Iowa. 3. (5) 56 Ty Griffith, Webster City, Iowa. 4. (3) 66 Tim Plummer, Norway, Iowa. 5. (6) 38S Paul Atchison, Webster City, Iowa. 6. (2) 40 George Gilliland, Lehigh, Iowa. 7. (8) 14K Ryan Sams, Fort Dodge, Iowa. 1. (4) 99 Rocky Caudle, Ellsworth, Iowa. 2. (5) 62 Cory Pestotnik, Boone, Iowa. 3. (3) T16 Taylor Elliott, Webster City, Iowa. 4. (7) 88N Nate Albrant, Thompson, Iowa. 5. (2) 32S Blair Simmons, Des Moines, Iowa. 6. (1) 4 Jason Bass, Fort Dodge, Iowa. 7. (6) 1 Doug McCollough, Webster City, Iowa. 1. (1) 66 Levi Chipp, Latimer, Iowa. 2. (4) 80J Jared Van Deest, Holland, Iowa. 3. (6) 32Z Alex Zwanziger, Nashua, Iowa. 4. (7) 5T Tyler Inman, Altoona, Iowa. 5. (8) 74 Ethan Dotson, Bakersfield, Calif..
6. (2) R31 Ryan Leeman, Roland, Iowa. 7. (3) 10R Brandon Ratcliff, Kamrar, Iowa. 8. (5) 26 Jason Carney, Boone, Iowa. 1. (6) 56 Ty Griffith, Webster City, Iowa, $500. 2. (12) 80J Jared Van Deest, Holland, Iowa, $300. 3. (2) 85T Brandon Toftee, Otho, Iowa, $250. 4. (9) 82 Jake McBirnie, Boone, Iowa, $200. 5. (10) 66 Levi Chipp, Latimer, Iowa, $175. 6. (11) 5T Tyler Inman, Altoona, Iowa, $150. 7. (5) 66 Tim Plummer, Norway, Iowa, $130. 8. (1) 99 Rocky Caudle, Ellsworth, Iowa, $120. 9. (14) 38S Paul Atchison, Webster City, Iowa, $110. 10. (7) T16 Taylor Elliott, Webster City, Iowa, $100. 11. (18) R31 Ryan Leeman, Roland, Iowa, $95. 12. (15) 32S Blair Simmons, Des Moines, Iowa, $95. 13. (20) 26 Jason Carney, Boone, Iowa, $95. 14. (19) 10R Brandon Ratcliff, Kamrar, Iowa, $95. 15. (16) 40 George Gilliland, Lehigh, Iowa, $95. 16. (18) 14K Ryan Sams, Fort Dodge, Iowa, $95. 17. (3) 88N Nate Albrant, Thompson, Iowa, $95. 18. (4) 32Z Alex Zwanziger, Nashua, Iowa, $95. 19. (13) 74 Ethan Dotson, Bakersfield, Calif., $95. 20. (8) 62 Cory Pestotnik, Boone, Iowa, $95. DNS – 4 Jason Bass, Fort Dodge, Iowa, $50. DNS – 1 Doug McCollough, Webster City, Iowa, $50. 1. 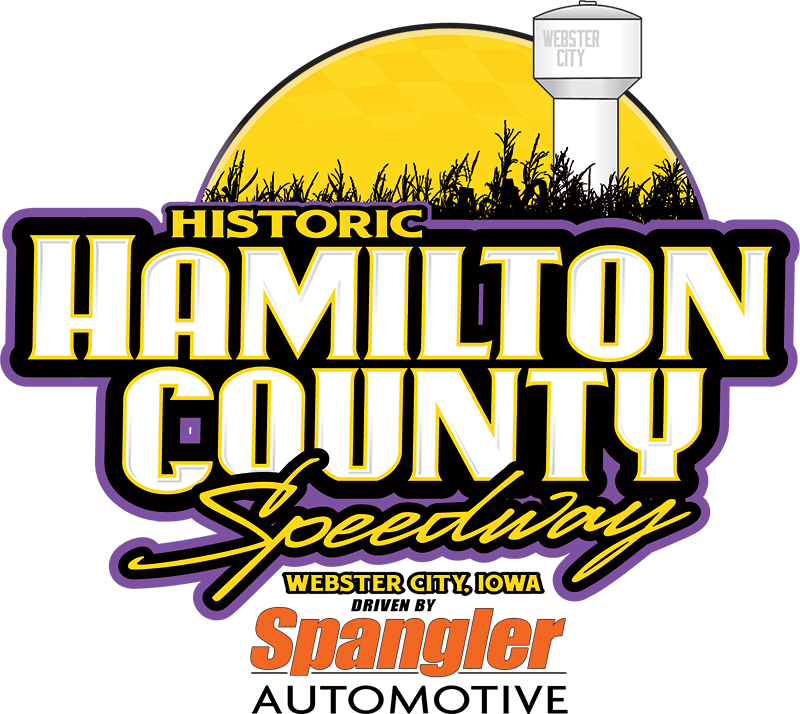 (6) 96R Jamie Songer, Ankeny, Iowa. 2. (5) 85 Seth Jansen, Ogden, Iowa. 3. (4) 11G Jayden Glenn, Stratford, Iowa. 4. (2) 88N Nathan Parkhill, Webster City, Iowa. 5. (7) 18A Shane Aldinger, Iowa Falls, Iowa. 6. (1) 10 Danny Sassman, Fort Dodge, Iowa. 7. (3) 89 Dakota Feickert, Webster City, Iowa. 1. (1) 7B Eric Stanton, Carlisle, Iowa. 2. (2) 1 Derek Willert, Marble Rock, Iowa. 3. (5) 6 Chanse Hollatz, Clear Lake, Iowa. 4. (6) 42T Tyson Overton, Carlisle, Iowa. 5. (3) 44 Todd Fisher, Des Moines, Iowa. 6. (4) 25T Tanner Redman, Blairsburg, Iowa. 7. (7) 49 Brayden Henely, Webster City, Iowa. 2. (5) 6 Chanse Hollatz, Clear Lake, Iowa, $250. 3. (1) 42T Tyson Overton, Carlisle, Iowa, $200. 4. (8) 96R Jamie Songer, Ankeny, Iowa, $170. 5. (10) 44 Todd Fisher, Des Moines, Iowa, $140. 7. (13) 89 Dakota Feickert, Webster City, Iowa, $110. 8. (3) 85 Seth Jansen, Ogden, Iowa, $100. 9. (6) 1 Derek Willert, Marble Rock, Iowa, $95. 10. (2) 88N Nathan Parkhill, Webster City, Iowa, $90. 11. (7) 11G Jayden Glenn, Stratford, Iowa, $85. 12. (12) 25T Tanner Redman, Blairsburg, Iowa, $80. 13. (14) 49 Brayden Henely, Webster City, Iowa, $75. 14. (11) 10 Danny Sassman, Fort Dodge, Iowa, $70. 1. (5) 5 Oliver Monson, Clear Lake, Iowa. 2. (3) 03 Matt Baker, Britt, Iowa. 3. (2) NO7 Brad Mayland, Britt, Iowa. 4. (1) G12 Myke Gorham, Boone, Iowa. 5. (4) 3 Jeff Felts, Webster City, Iowa. 1. (5) 37 Ryan Bryant, Mason City, Iowa. 2. (2) 13 Lucas Jones, Fort Dodge, Iowa. 3. (3) 11 Sam Umbarger, Garner, Iowa. 4. (4) 88 Dylan Tyler, Mason City, Iowa. 5. (1) 45 John Dahlsten, Pomeroy, Iowa. 1. (5) 5 Oliver Monson, Clear Lake, Iowa, $125. 2. (6) 37 Ryan Bryant, Mason City, Iowa, $100. 3. (4) 13 Lucas Jones, Fort Dodge, Iowa, $85. 4. (2) 11 Sam Umbarger, Garner, Iowa, $75. 5. (1) 03 Matt Baker, Britt, Iowa, $65. 6. (8) 88 Dylan Tyler, Mason City, Iowa, $60. 7. (9) 3 Jeff Felts, Webster City, Iowa, $0. 8. (3) NO7 Brad Mayland, Britt, Iowa, $50. 9. (7) G12 Myke Gorham, Boone, Iowa, $45. DNS – 45 John Dahlsten, Pomeroy, Iowa, $20.